Some books just make you feel good. Some have the potential to change your life. This one does both. Author Vicki Lynn King has created an inspirational and motivational book that is part memoir and part self-help book. She begins by taking the reader back home to her roots in a small town in Northwest Iowa in the mid-50s. As she reminds us, back then there were no personal computers, no cell phones, no Internet. Where, perhaps, people had to be more self-reliant. Where it was natural to help your neighbors. And where neighbors were people you actually knew. Many Baby Boomers recall growing up in a similar world. It was a “Leave it to Beaver World,” a place and time where it was so safe that no one locked their doors, and a kid had time to lay back on the ground and look up at the clouds, imagining whatever came to mind. 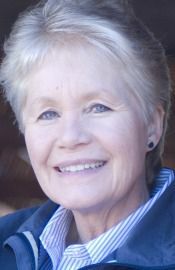 As Vicki grew up, she spent some time as a horse whisperer, though her favorite activity was singing. Truth be told, she was actually too small to wrestle horses for a living, King tells us, so instead she became an RN, specifically a surgical nurse. But her heart was still in singing, and by age 34, she decided to pursue songwriting and singing as a full-time career. To augment her singing income, Vicki soon turned to insurance sales. Selling was something she excelled in, and quickly she built a sales team and eventually became a Regional Sales Coordinator for her company. A highlight of this career continued to be singing. She was tapped to open many of her company’s corporate meetings. These events led her to an exploration of how to find happiness, how to find fulfillment, how to visualize the life she loved – and how to realize and truly believe that she – and all of her readers – actually deserves to have this dream life. 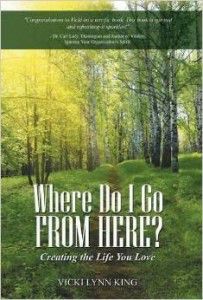 Vicki writes of how she went on a true voyage of self-discovery, and in the second half of the book, she serves as guide and cheerleader, to assist the reader in finding their own life plan, setting their own goals, and helping the reader understand why he or she really does deserve the life of his or her dreams. She explores the value of visualization and reviews the Law of Abundance, which has been made popular by Denis Waitley, Deepak Chopra, and others. Most importantly, she shares how the reader can achieve this sort of life for themselves. Quite often, through working with a life coach. In fact, though she still sings and recently released a new album of her songs, Vicki now works as a Certified Dream Builder Coach. Some books just make you feel good. This is one of them. Author Vicki Lynn King has created an inspirational and motivational book that is part memoir and part self-help book. She begins by taking the reader back home to her roots in a small town in Northwest Iowa in the mid-50s. To augment her singing income, Vicki soon turned to insurance sales. Selling was something she excelled in, and quickly she built a sales team and eventually became a Regional Sales Coordinator for her company. A highlight of this career continued to be singing. She was tapped to open many of her company’s corporate meetings. Time went by, and life rolled on. As happens with many of us, King began to sense a void in her life, she writes. Plus, she was not as healthy, physically or mentally as she wanted to be. Vicki writes of how she went on a true voyage of self-discovery, and in the second half of the book, she serves as guide and cheerleader, to assist the reader in finding their own life plan, setting their own goals, and helping the reader understand why he or she really does deserve the life of his or her dreams. She explores the value of visualization and reviews the Law of Abundance, which has been made popular by Denis Waitley, Deepak Chopra, and others. Most importantly, she shares how the reader can achieve this sort of life for themselves. Quite often, through working with a life coach.